Commercial Sweeping Services Staten Island | Pave USA Inc. Pave USA Inc. provides a wide variety of high quality commercial parking lot sweeping servicesin Staten Island and its surrounding areas. 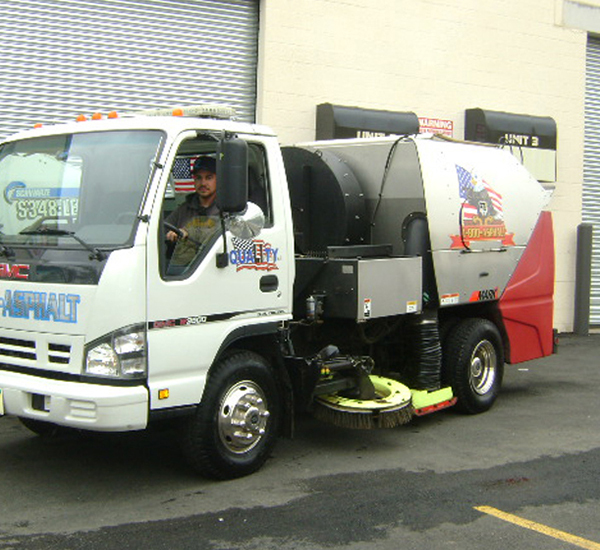 We have an efficient team of sweepers that understand the custom needs of your business. Our expert professionals create a tailor-made service plan that perfectly fits the budget and schedule of our customers, which ensure that your premises remain spotless at all times. It is important to keep your parking slot clean so that you can build a positive impression on your visitors and clients. Commercial parking lot sweeping keeps your place clean of dust, dirt and splotches of oil that’s dripped from various vehicles. The professional team at Pave USA Inc. uses advanced sweeping techniques to remove the debris from your parking lot, thus improving its overall appearance and life span. We understand that getting your commercial parking lot swept on a regular basis can be expensive. Therefore, we offer the most affordable and cost-effective commercial sweeping solutions. At Pave USA Inc. every business has unique needs and location and that’s why our sweeping staff will organize their visit as per your schedule. We can assure you that with our efficient equipment and quick service, you will get an affordable and reliable sweeping service. All the experts at Pave USA Inc. are licensed environmental technicians and this means that you canrely on them completely.